Treat your guests to a good, clean visual pun with this Hand Soap. 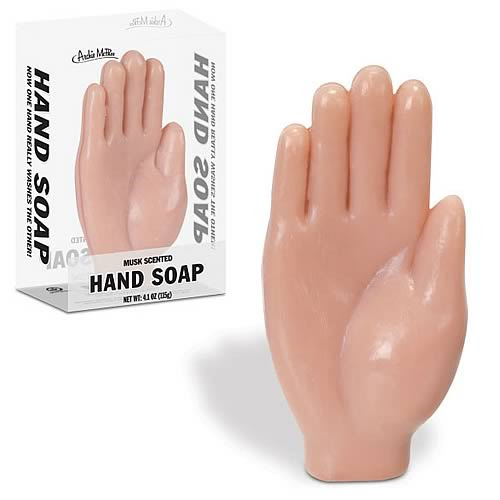 Each 4 3/4-inches long, hand-shaped soap is sure to elicit a hearty chuckle or, at the very least, a mildly amused smirk. It's a perfect combination of silly and sanitary! Musk scented. Order yours today!